Want to stay all week? Use Coupon Code: “weekoffun” at checkout for an amazing discount! 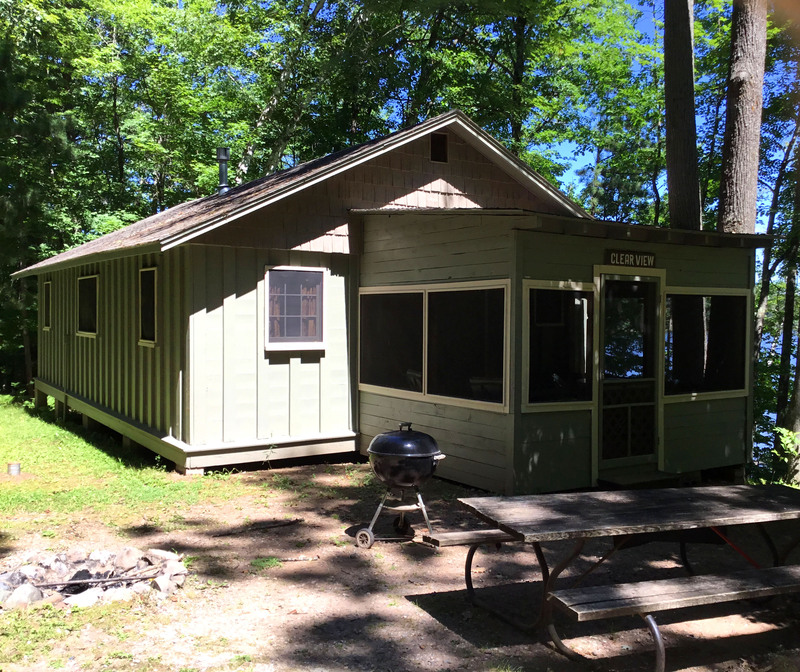 There is a 2 – 4 night minimum stay required on nightly rates depending on cabin, please inquire by calling us (715) 462-3766. Prices do not include tax. 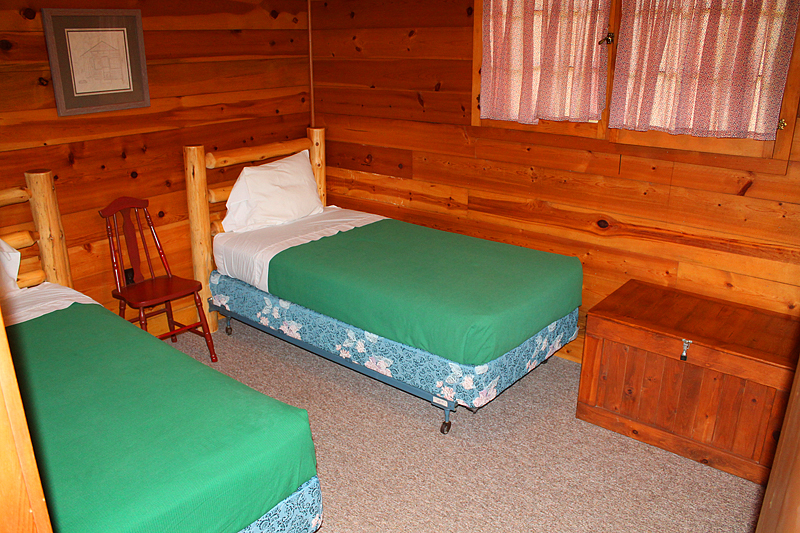 Additional guests: $75 per guest per week OR $15 per guest per night. 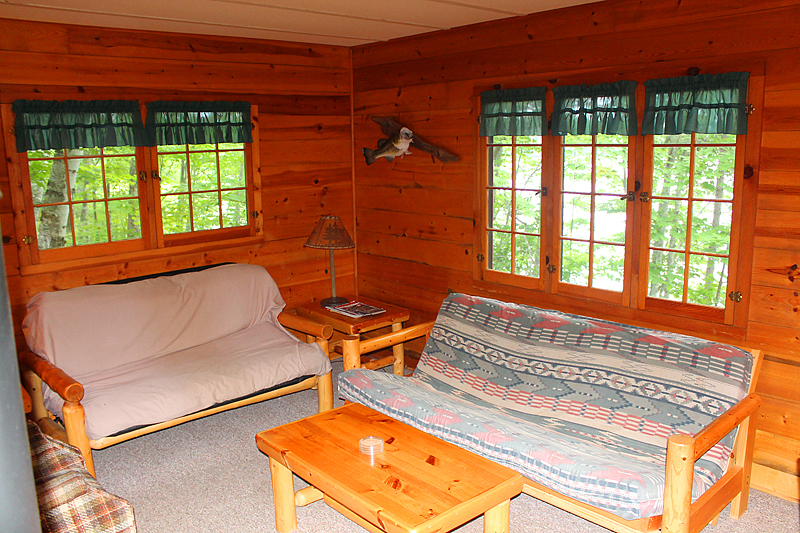 Join us to experience the grandeur of the beautiful Northwoods. 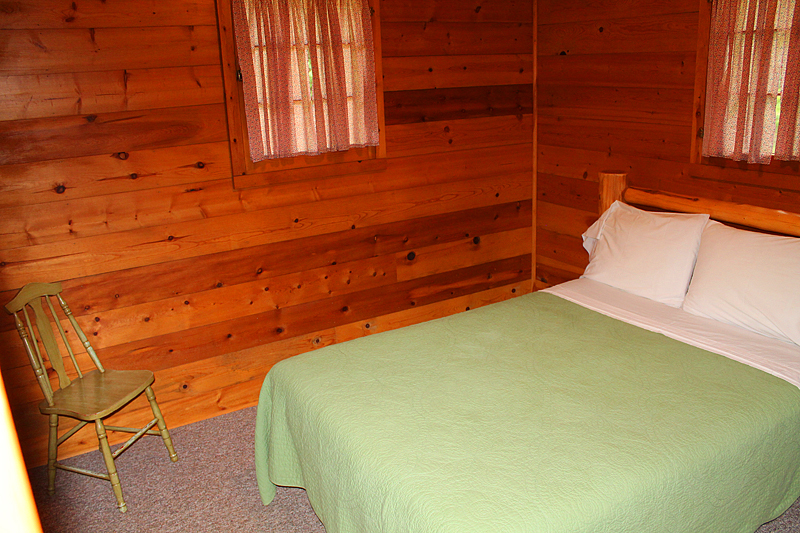 Timber Bay Resort offers seasonal and year-round lodging accommodations in this housekeeping cabin in a beautiful, rustic setting. Explore the crystal clear waters of the Spider Lake Chain in your boat or one of ours. 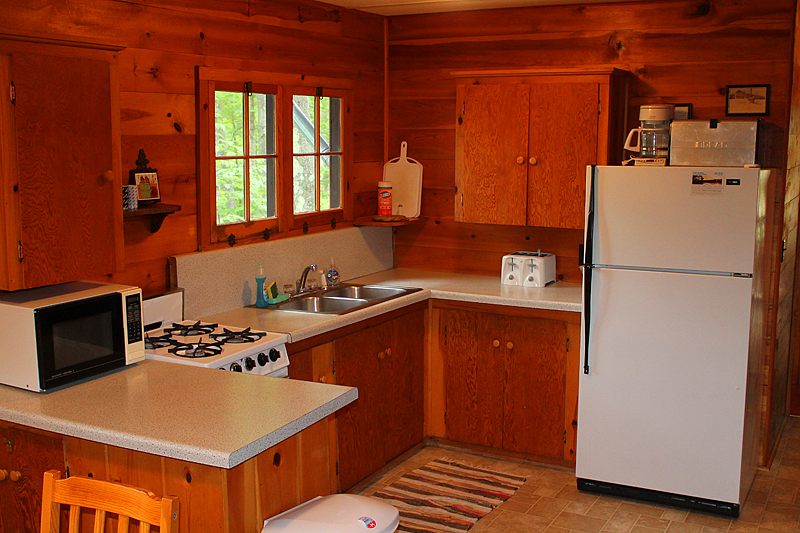 Enjoy an outdoor meal from the grill at picnic tables nestled under the trees. Then spend an evening stargazing at your own fire pit. 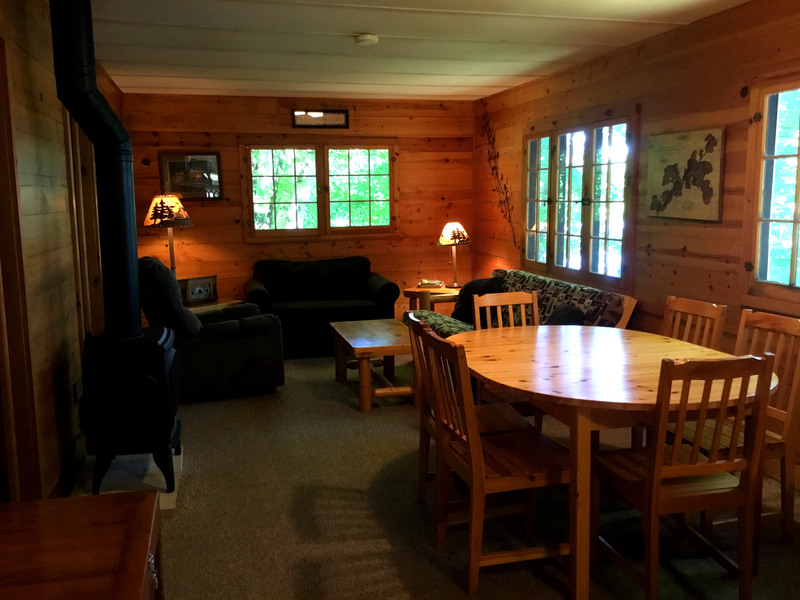 Timber Bay Lodge features a full bar with free WIFI, TV, fresh made pizza, soups, deli style sandwiches, ice cream and more. Open daily May – September. Closed Monday and Tuesday in the Winter. Snowmobilers welcome! All rates subject to Wisconsin Sales Tax. Rates subject to change. 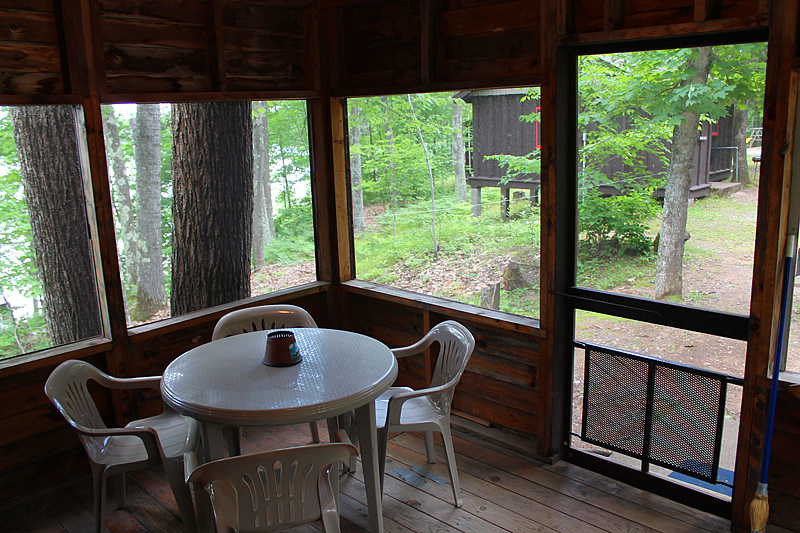 No pets allowed in the cabins. There is a Kennel nearby: Canine Cottage 715-462-3037. 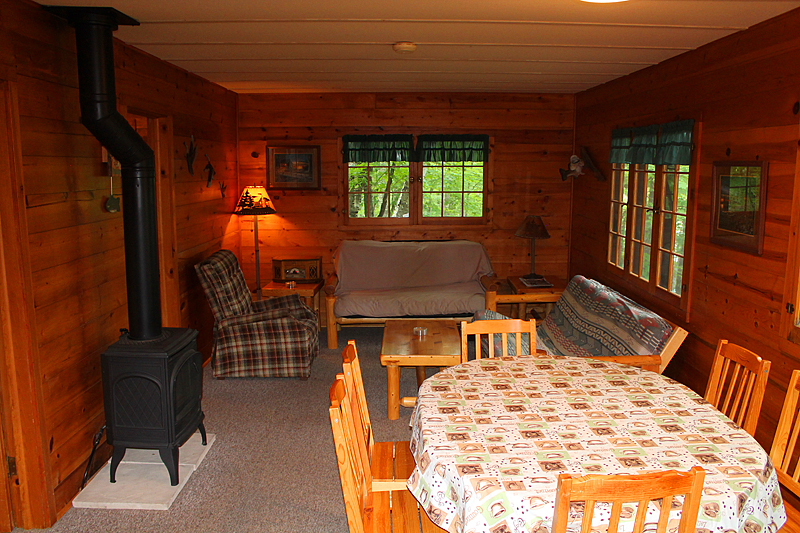 Mid-June thru Mid-August reservation weeks run Saturday to Saturday. 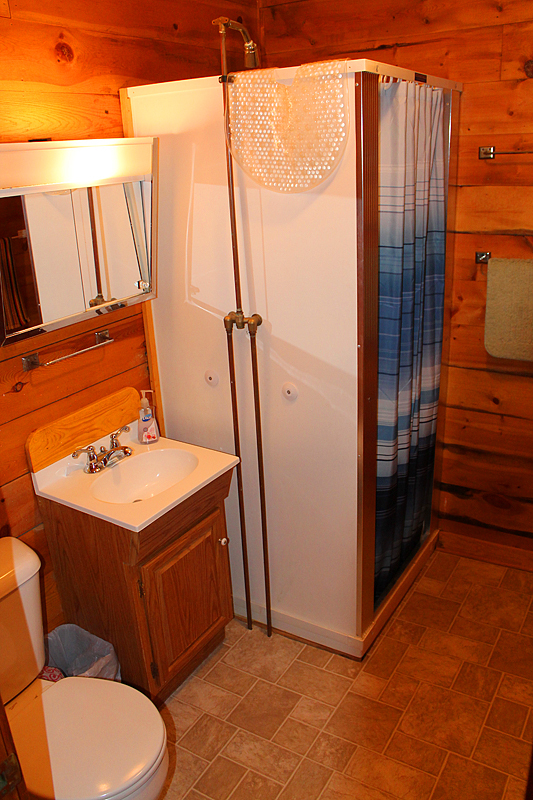 Minimum deposit of $300 per cabin per week will reserve your accommodations. The Deposit is due 7 days after making reservation. 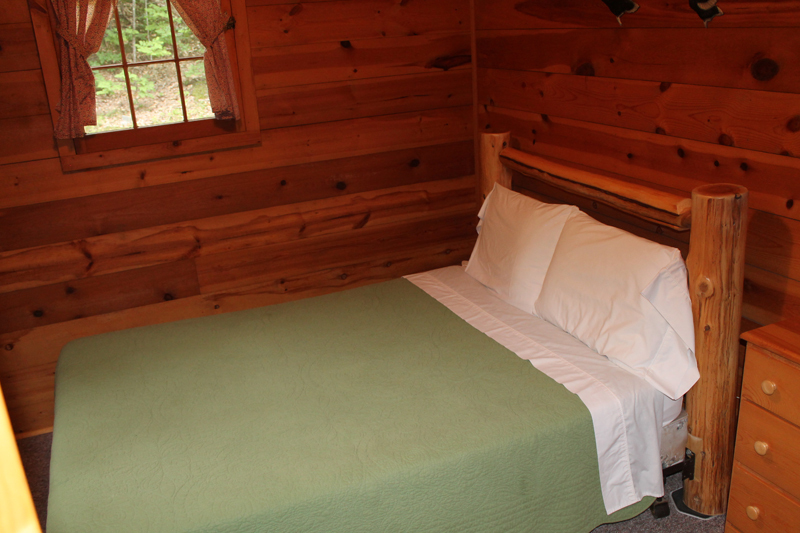 Cancellation Policy: Refund of deposit if cabin is re-rented.